We just got an outdoor cat only 3 days ago, we had her in a large Kennel area to get her used to us and our back yard and she escaped. 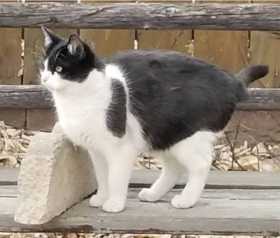 She is black and white and 7 months old. We live in Colorado Springs near Dublin and Northwind.